In my own business, I often have multiple notaries working at title offices doing loan signings. When I peak through the conference room windows and I see RBF, it turns my stomach, because I know my clients see it too. It looks like the notary is either pissed off, bored, or otherwise miserable. The signers see it too, and all around it is just bad for business. It starts with awareness of what your face is doing when you're not looking. And then, you can take some specific actions to help make sure you have a a warm, business-ready, expression on your face at all times. It takes practice! On Saturday, June 16, Sign & Thrive features researcher, Jason Rogers, on the Thrive Live webinar. 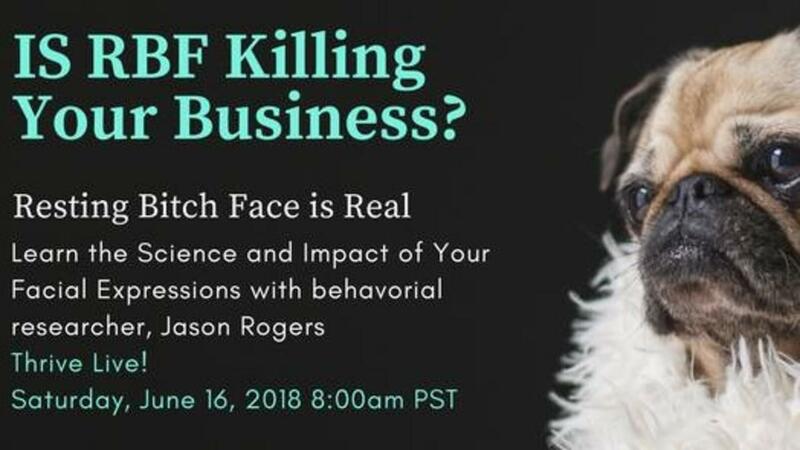 Jason will go over his research on RBF, body language, and facial expressions, along with the direct impact it has on interpersonal relationships. Plus, he will share strategies on staying aware of your RBF, and how to adjust for business success. Do you have RBF? Free Test Here! This Thrive Live webinar is reserved for students of the Sign & Thrive Course and Community. To join us, please register for membership here.